Happy Monday friends!! I hope you are all having a wonderful Summer! We have been quite busy as you can see from the last time I have blogged. 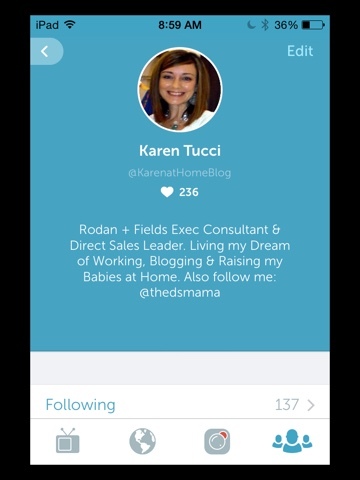 I had to stop by though and share with you all one of my latest obsessions....Periscope! If you aren’t on Periscope go sign up right now! This new app is the best new Social Media Platform. Everybody is catching on. Periscope just celebrated their 90 day birthday and they already have 7.2 million users!! Wow! No social media platform has ever done that before. It is a LIVE streaming app. You can watch people in real time. Everyone from Celebrities to small businesses are on Periscope sharing tips, giving behind the scenes peeks, and doing Q&A’s! Let me just warn you this app is addictive! Download the app in the app store on your phone. And you can login with your Twitter account (Twitter owns Periscope.) You’ll be able to follow any of your twitter followers plus search for anyone else you want as well. Periscope is actually a LIVE feed. You can actually watch what someone is doing right at the moment they are doing it. It's like you are right there with them. I actually watched Jillian Harris (The Bachlorette/HGTV Host) make dinner one night. How cool is that? While you are watching, you can give the people hearts by tapping the screen. It keeps a running tally on a person’s profile. So people are always begging for hearts! You can share a live stream with your Periscope and Twitter followers by swiping left with your finger. The best part about this app is the engagement. You can chat with the people streaming and watching. It definitely makes you feel special when the celebrity or who ever you are watching calls you by name and welcomes you to the stream or answers your question! So go download the app and thank me later! : ) Would love to connect with all of you the next time you are on Periscope. Hope you are all having an amazing Summer!